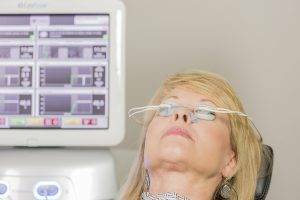 THE WOODLANDS, TX,—JULY, 7 2016—LIFETIME EYECARE ASSOCIATES, a full service eye care center, today announced it is now providing a revolutionary new treatment, LipiFlow®, for patients who suffer from dry eye caused by Meibomian Gland Dysfunction (MGD). MGD, a progressive disease that affects some 300 million people worldwide, stems from blockages in the oil-producing meibomian glands located in the eyelids. LipiFlow unblocks the glands, allowing the glands to resume the secretion of oily lipids needed for a healthy tear film. Developed as a result of 30 years of scientific research, LipiFlow is an in-office procedure that uses directed heat and gentle pressure to liquefy and express the contents of meibomian glands. This revolutionary treatment is FDA-cleared and scientifically proven. In a clinical study, 90 percent of patients achieved improvements in gland secretions after a single LipiFlow treatment. MGD can negatively impact long term vision and ocular health. If left untreated, MGD will worsen over time, leading to eye redness, dryness, irritation, burning, and eye fatigue. These symptoms can hinder daily activities such as reading, using the computer, wearing contact lenses, and being outdoors on windy days. Patients who suffer from these symptoms should be screened for MGD as part of their routine comprehensive eye examination. Early identification of MGD can yield the best results for long term ocular health.